HAVE A QUESTION ABOUT RIVER OR SMALL SHIP CRUSING? Ask Mr. River Cruise... the river and small ship cruise expert! Buying your first river cruise can be a daunting challenge as there are so many questions that arise. Even if you're an experienced international traveler or ocean cruiser, you'll have a lot of questions. No, it's not all that complicated, but there are many, many subtle differences between the cruise lines, the itineraries, choices of cabins, and at times these differences can be very blurred to the first-time river or small ship cruiser. Buying your first river cruise is kind of like buying your first car, albeit not as expensive. Remember back when you purchased your first car without parents being involved? Bet you do; and if you're like many of us, you probably had more questions than answers. Hopefully you bought the right car, but did you have anyone you could ask for advice without being somewhat embarassed? The Premier River Cruises' Team are ALL experts in river and small ship vacations. We ought to be! Most of us have been doing it for over 20 years! There probably aren't many questions we haven't heard by now, but we're always open to new ones and that's why we've developed this simple, easy way for you to somewhat anonymously ask our Team ANY question you can think of pertaining to a river or small ship vacation. 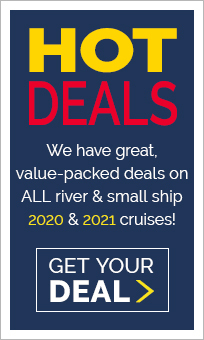 Our goal is to help you so that when you buy that first river or small ship cruise vacation (hopefully from Premier), you'll be a bit wiser and make the right purchase decision. To help accomplish that, we've built the best online resource in all of the river cruise kingdom — the Premier River Cruises site. Travelling through our site, you'll see that we have an extensive FAQ section (Please click the last button in the top navigation bar to access this section. 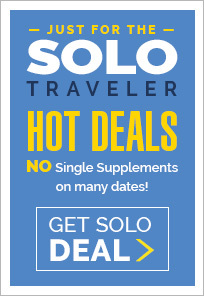 ); a wide array of very informative and objective cruise reviews and articles; great offers; specialty programs such as Premier Spotlights, Milestone Events, Quick Sail (last-minute cruises); cruising for the 'Solo' Traveler, and — well, really... more information in one place than you'll find anywhere else on the internet. Even better, our Team of professional, knowledgable agents are ready to speak with you when you're ready. So... are you ready to ask Mr. River Cruise your questions? Click HERE to ask your questions via email. Our river and small ship guru, Mr. River Cruise (AKA, the entire Premier River Cruises Team! ), will get right back to you with all the answers. Don't know what questions you should start with? To help you get started with your email, take a look below at some of the typical questions we receive every day. What are some of the typical questions we receive? ◙ Are river ships pet friendly and can I take along my dog? ◙ Do river ships sail on the ocean? ◙ Do cabins on river ships have private bathrooms? ◙ Where can I go on a river ship? ◙ Is a river ship like a barge? ◙ Do I have to get all dressed up on a river ship? ◙ Do they have Kosher meals on river ships? ◙ Can I get a room mate if I book a river ship? ◙ Can I bring my baby on a river ship? ◙ Is everyone over 80 on river ships? ◙ What does all inclusive mean? ◙ Do river ship windows open? ◙ Do you pay extra for food on river ships? ◙ Do you have to tip on river ships? ◙ Can we make payments for our river cruise? ◙ Is the water safe to drink on river ships? ◙ Do they speak English on river ships? ◙ Can I get off the ship when it stops? ◙ Does it rain on river cruises? ◙ Do the crew sleep on the ship? ◙ Does the ship go in reverse? Click the button below to ask Mr. River Cruise your questions via email.